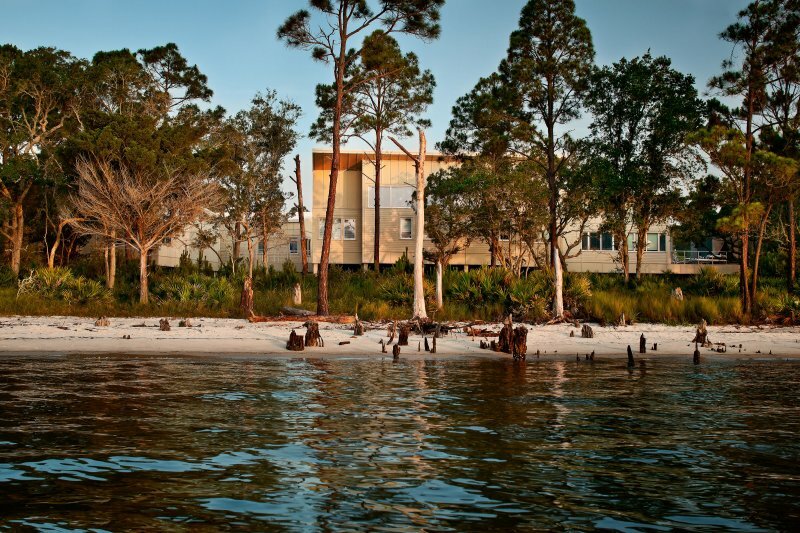 Florida’s Apalachicola reserve protects one of the most productive estuarine system in the northern hemisphere, with this new headquarters designed to support this ecologically sustaining mission. 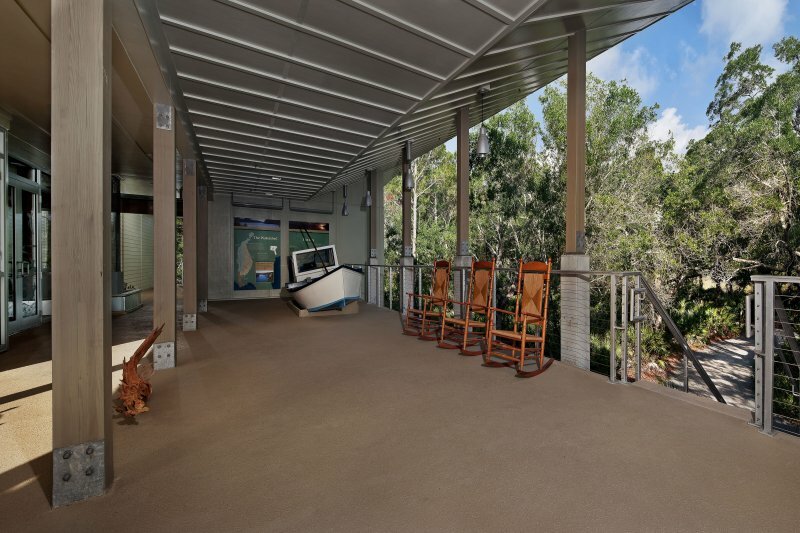 Sited near the north end of the St. George Island Bridge in East Point, Florida, this 20,000 square foot facility is carefully sited to minimize the loss of habitat within a grove of live oak and pine trees, while simultaneously providing views of the nearby St. George Sound. 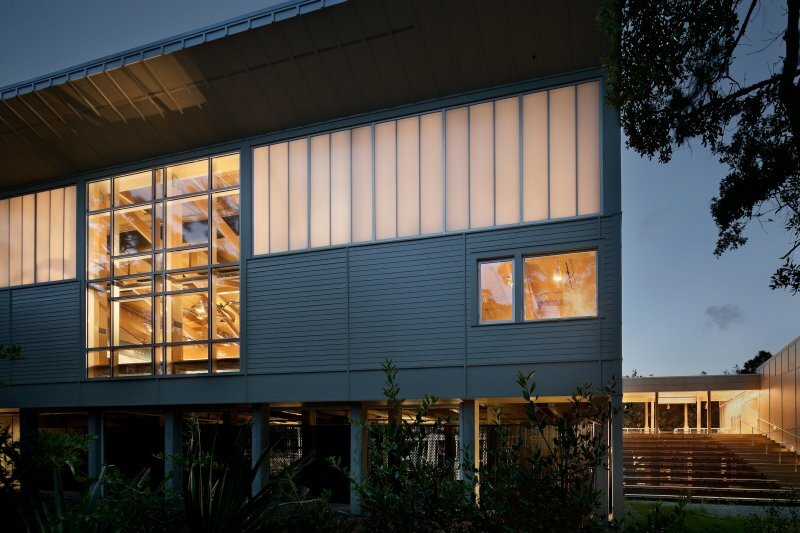 Designed in a style that reflects the history of its hard-working oyster community, the project is organized as a collection of buildings forming a compact campus. The site includes a Visitor’s Center complex containing an exhibit hall, multi-purpose room, library, amphitheater and support functions. 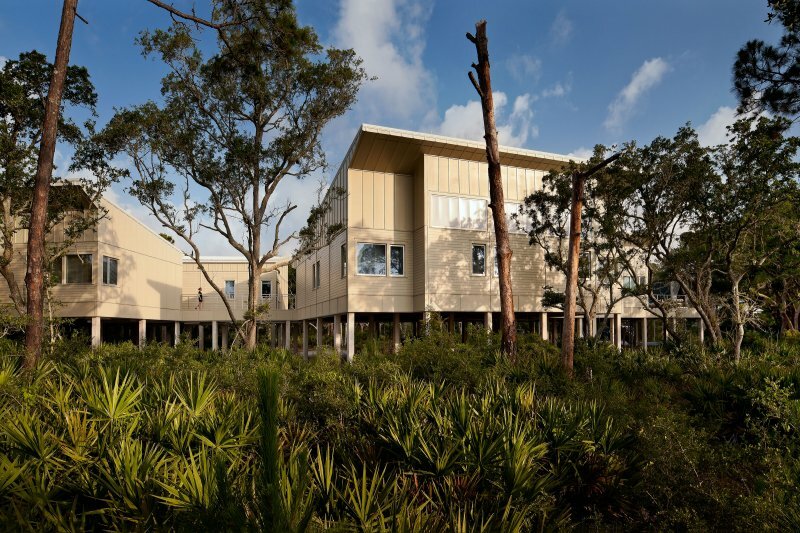 To the north of the Visitor’s Center, the Administrative complex houses education, research and stewardship offices, all gathered around a central outdoor deck and conference room. The building has been designed to meet LEED (Leadership in Energy and Environmental Design) guidelines, achieving LEED silver certification.